What was the first song you guys wrote, and how did you write it? The song "Meaningless." It was on our first demo cassette. I wrote it on a MIDI program called TabIt. You've been touring a lot this year. How is that going? It's going good. We did a U.S tour in March of this year and a European tour in April and May of this year. We did a SXSW tour previous to those, but not much more before that. How has touring helped the band? I hope it's gotten us more exposure, but we're really just doing it to have a good time. Absolutely, everyone involved in this tour is a close friend. How is the band reacting to getting more exposure? I suppose well. We're happy with the turnouts. Which tour stops have been best for the band? Dallas, Philadelphia, and L.A. have all been really great. How does the band go about the task of writing songs? We just come up with ideas and jam on them until they feel completed. When you're not touring, how often do you rehearse? Just before shows and tours or recording. 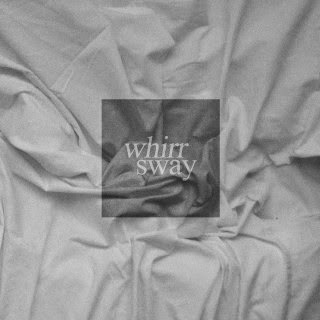 Some Whirr songs sound as if they could have been played on college radio in the '90s. What about that era is Whirr drawn to? We definitely like the volume and intensity a lot of the late '80s and '90s bands had. Were not trying to model ourselves after anyone in particular though. How did the group come together, and how did you know what kind of music you wanted to play? We've all been friends for years. We just wrote music we wanted to hear. Have you always been a Bay Area band? What keeps you here? We're all originally from Modesto, but we've never played out there. We moved out here in 2010. I'm not sure anything in particular keeps us here. What bands do you all listen to when you're on the road? The Smiths, Dinosaur Jr, Drake, Kate Bush. Does the band ever argue about music? Sometimes, but it's never serious. Why do you have five people in the band? Seems like a lot of folks to wrangle. We like the textures we can get with three guitars. What gear helps gives you the texture you want? Twin Reverbs [amplifiers] and delay and reverb pedals. The music industry is a mess; what's the band's business strategy? I'm not sure. We don't really see any sort of profit unless we're touring. Our booking agent routes our tours for us, but we ultimately make our own calls on what we want to do as a band.